Paula Patton opens up about her separation from estranged husband Robin Thicke in Vanity Fair. 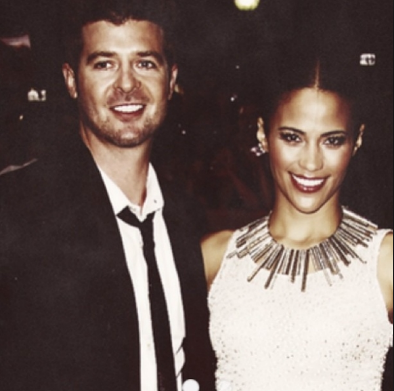 Actress Paula Patton has admitted she still has "deep love" for her estranged husband, singer Robin Thicke. Patton, 38, and Thicke, 37, decided to "mutually" separate in February after he was pictured partying with several other women whilst on tour. Patton told Vanity Fair: “We've known each other since we were teenagers. The "Mission Impossible: Ghost Protocol" actress married Robin in 2005, but they had been an item for more 20 years and he reportedly tried to win her back after they split. “He wasn't my first kiss”" she told the magazine. "But he was my first lots of other things."